Ah, watermelon. Aside from longer days and warmer weather, it’s my favorite part of the summer season. There’s almost nothing better than biting into a fresh cold piece of watermelon but sometimes it’s fun to mix it up a bit. But who has time for time-consuming recipes that require 20 ingredients you don’t even have in your fridge? Here are five ways to enjoy watermelon without having to do much at all. Cold. Pressed. Watermelon. OMG this stuff is delish! 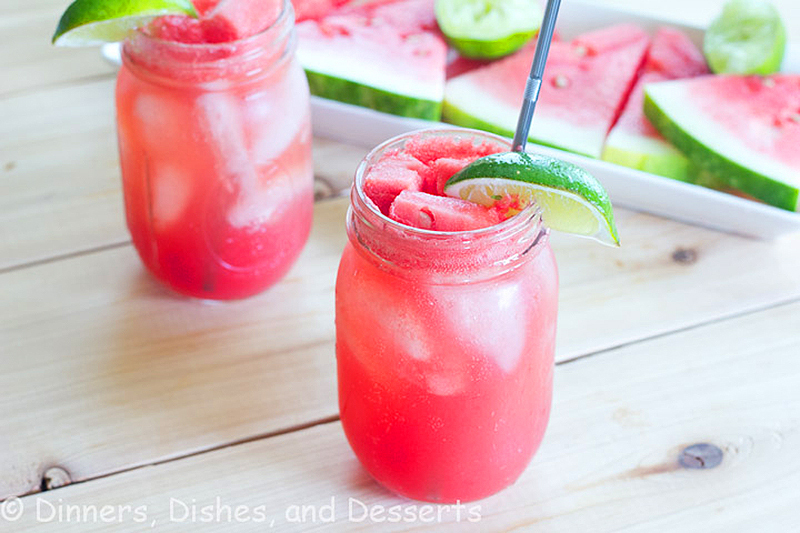 Growing up I always loved sandia agua fresca, but I just don’t have time to make it. Enter my new favorite flavored water that actually has NO water and NO sugar added. Say whaaaaat! Yep, it’s true. I’m hooked and after one sip, you probably will be, too. The only drawback? It’s like five bucks a bottle! Dayum. For a more adult way to enjoy the tasty summer fruit, whip up a Watermelon Fizz. 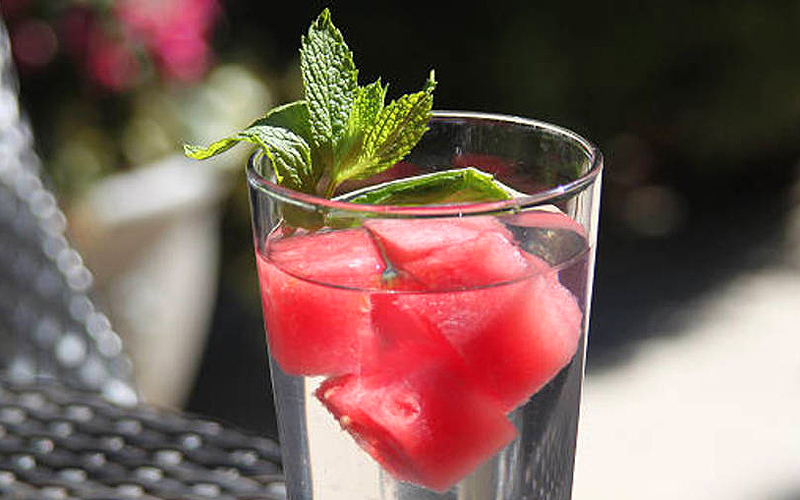 Simply muddle watermelon and mint (about four leaves) then add tequila (or gin), ice, a touch of soda water and agave. Shake and pour everything into a glass. Garnish with cut pieces of watermelon and a squeeze of lime. Voila! 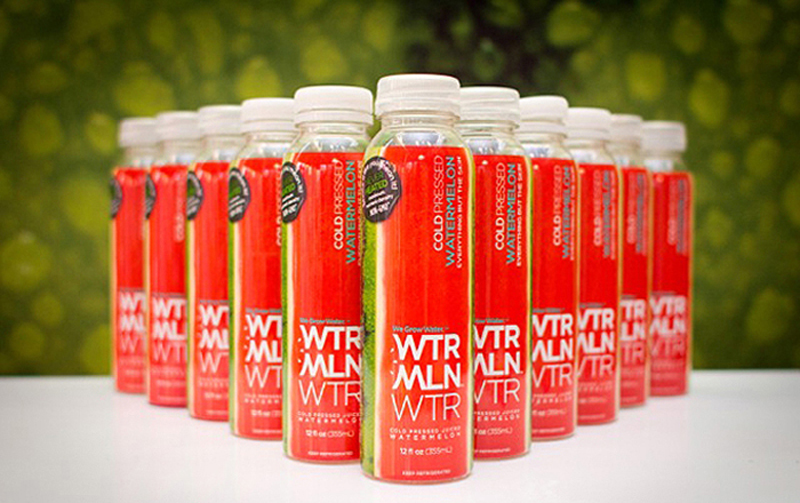 Summer in a glass and only 100 calories. Talk about minimum effort for maximum payoff. 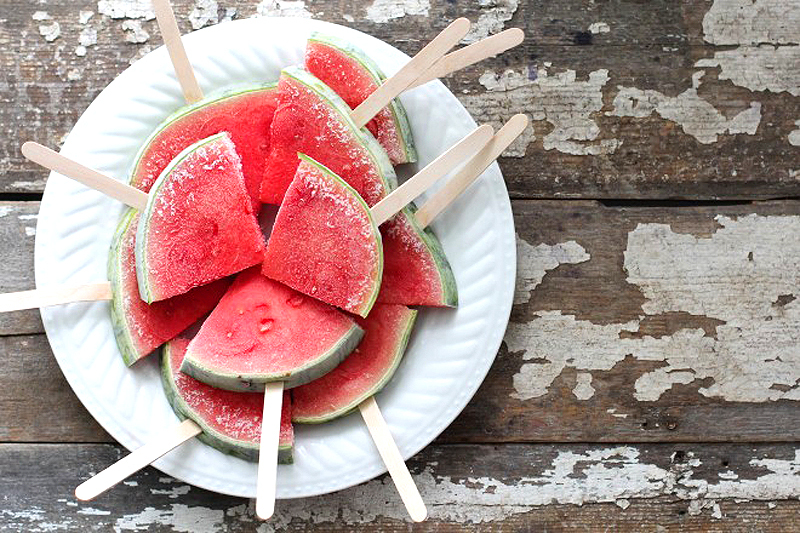 For a super refreshing snack, simply cut watermelon into triangle shapes (you can remove the rind, but I think it looks prettier to keep it) and add wooden popsicle sticks. Put in freezer until frozen and there you go. Totally delicious and totally good for you! Why use ice cubes when you can have sweet colorful cubes made of watermelon? All you have to do is cut watermelon into cubes, place onto a tray, cover with plastic wrap and freeze the cubes for a few hours or until completely frozen. You can store any leftovers in a resealable plastic bag and use later. How easy is that? This is one of the easiest and prettiest salads you’ll ever make. It’s also one of the tastiest if you like sweet-salty combos like I do. 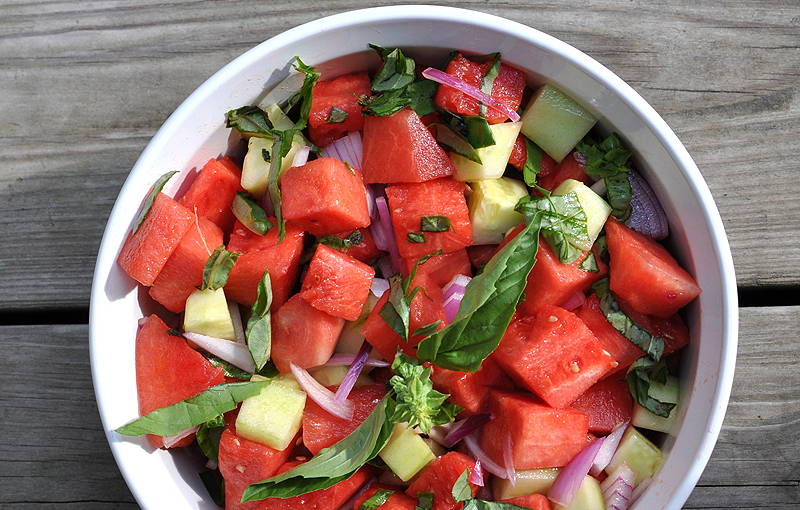 Cut up watermelon, cucumber, onion and combine with a good-sized drizzle of olive oil, lemon juice, and salt in a large bowl. Stir and add basil. Add more olive oil, lemon, sea salt and pepper until the taste is just right. Enjoy!